Insurance companies can require you to provide an inventory of your lost, stolen, or damaged items before paying on a claim. If you don’t have an accurate inventory, it could reduce the amount of money that the insurance company pays out to you. Your insurance inventory is an important part of your financial paperwork. You may want to make several copies of the inventory and store them in safe places to ensure this important information will be available if you should ever need it for an insurance claim. 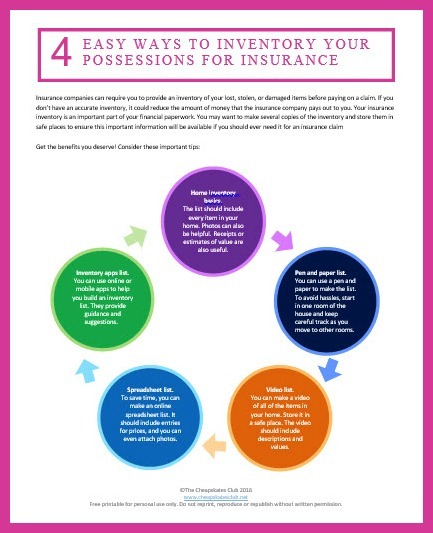 Click here to download March's tip sheet "4 Easy Ways to Inventory Your Possessions for Insurance"